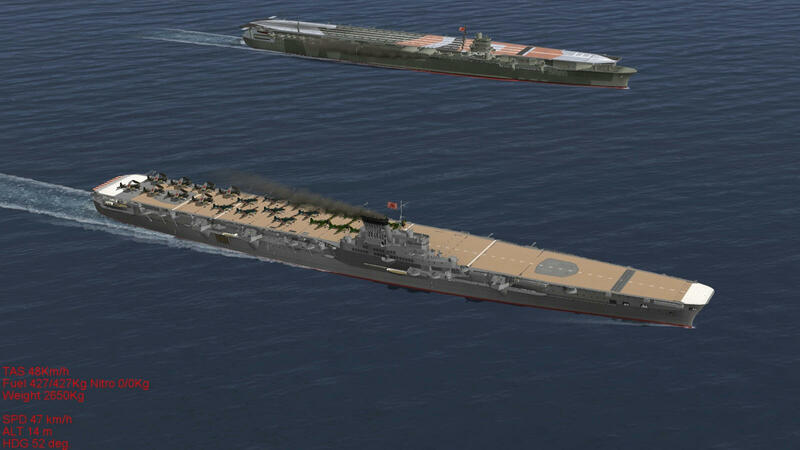 This mod add IJN aircraft carrier Taiho and Kai-Taiho on your IL-2. This model contains only normal lod.0 model and don't have damaged 3D model. The collision box are set for Hull, bridge and flight deck. Vital part is only in center of Hull and flight deck. 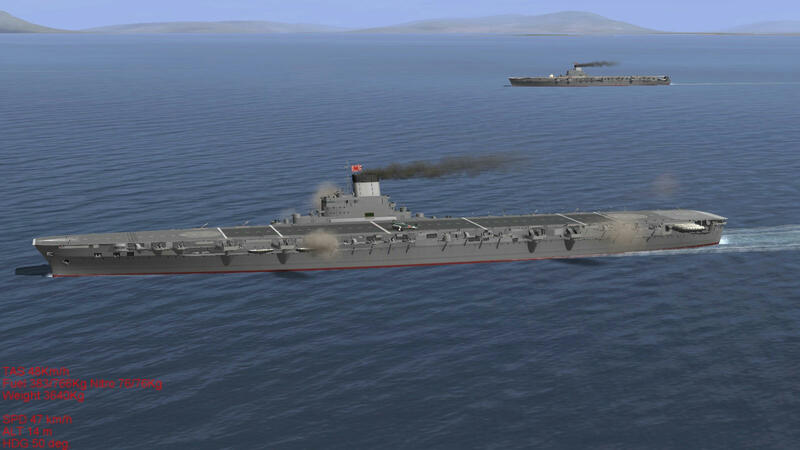 *Kai-Taiho was planned and canceled aircraft carrier. So she is what-if. However, official( by IJN Technical Department = Kansei-HonBu) rigging cross sections of Kai-Taiho are existing and accessible (for example at Yamato muesum). These sections are more detailed and higher quality compared with Taiho's available rigging cross sections. Those materials are also important and helpful when making Taiho's model. This mod needs High resolution Mod. Horray!!!! Thank you so much, Ill try it out now! Unfortunately I'm getting a 70% CTD on my 4.12 CUP install. PlMisChief: class 'End' not found. Interestingly enough I've had the same "class 'End' not found." entry when I attempted to install the Bon Homme Richard. thanks for that great carrier addition to the Combined Fleet! Especially check that the Gun Properties text in the ships.ini is inserted in the correct place. Please check the .ini as PO_MAK_249RIP says. HD texture also cause trouble when using specific hardware. However, log doesn't tell us about texture issue, so error cause by another reason. Reinstalled it along with the Hiryuu HD mod and both worked great in CUP now. No idea if the Hiryuu is needed for the Taiho to work or what INI file I screwed up. Either way both ships work now. Thanks, Damawo, This Carrier is faster like Ise, Both Ship are Hybrid. 100 Kmh like Ise. who told you that Taiho was a hybrid carrier??? ?